Is there any paperwork or document for the mechanical systems of N/A Addison Hall, Aurora, Ontario? I need more information about the property at N/A Addison Hall, Aurora, Ontario. How ist the neighborhood, location and nearby amenities for N/A Addison Hall, Aurora, Ontario? I have questions about the roof, foundation, insulations and mechanical issues of N/A Addison Hall, Aurora, Ontario? I need more information about property details. What's wrong with this house? Is this a short sale? Is there any maintenance for N/A Addison Hall, Aurora, Ontario? What is this property worth in today's market? What are "closing costs", and how much? What steps should I take when looking for a home loan? What price home can I afford? Is my credit good enough to buy this house? What are the best mortgage options for me? How flexible is the seller on the asking price? How low can I consider offering for N/A Addison Hall, Aurora, Ontario? Street Name: Addison Hall Business Park. 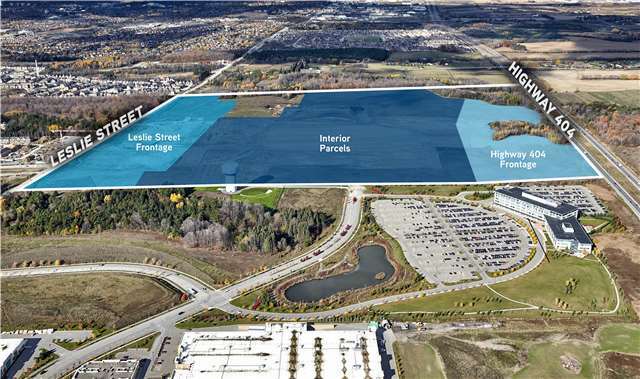 Prime Lots For Sale In The New Addison Hall Business Park Located Near Highway 404 And Wellington Street East. Be Part Of The Growing Aurora Business Community And Join Neighbours Like State Farm, Magna And Bulk Barn. This Prestigious Business Park Will Feature Many Green Areas And Nature Trails. Servicing Expected To Be Completed By Q2 2018. Many Uses Permitted. Various Lot Sizes Available From 2-20 Acres. Property Taxes To Be Assessed.